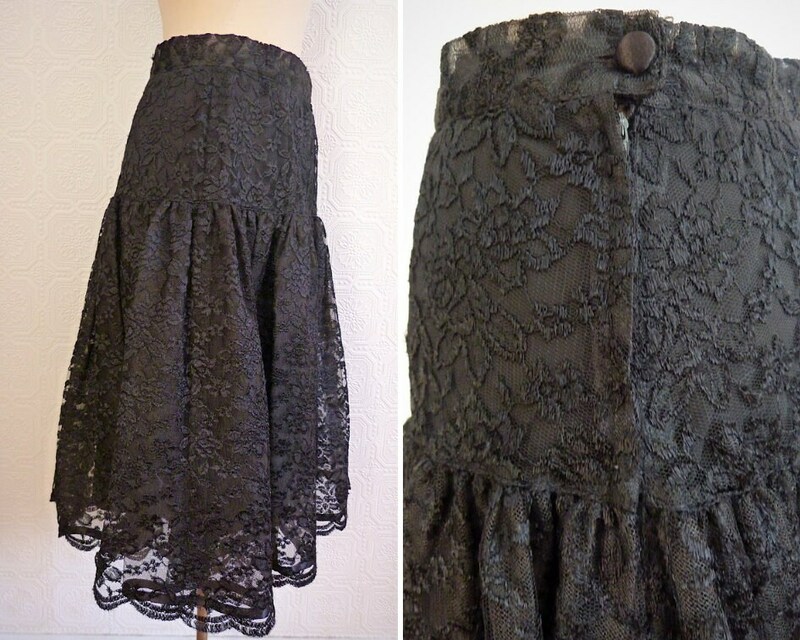 Lovely black lace midi skirt with close-fitting hips and gored flounce length. 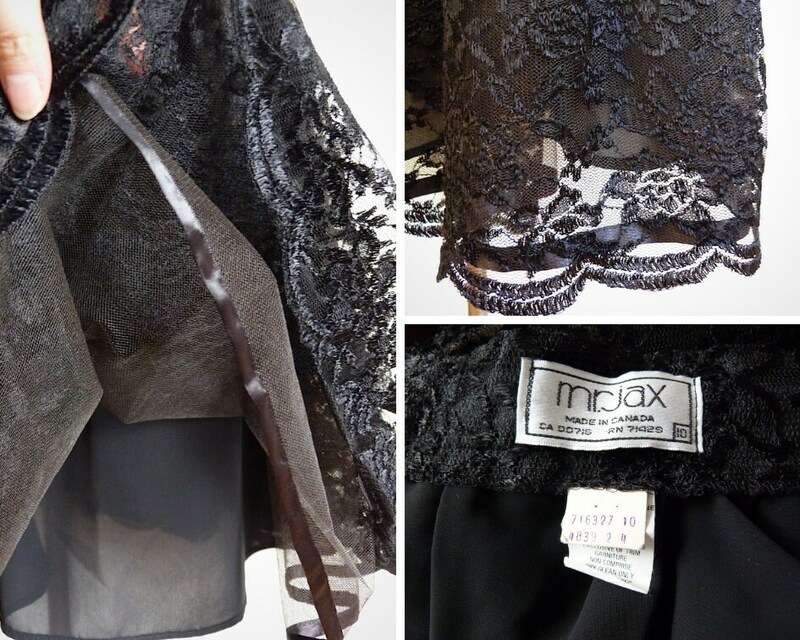 The lining features a petticoat for more structure and volume. Lateral zipper and button. 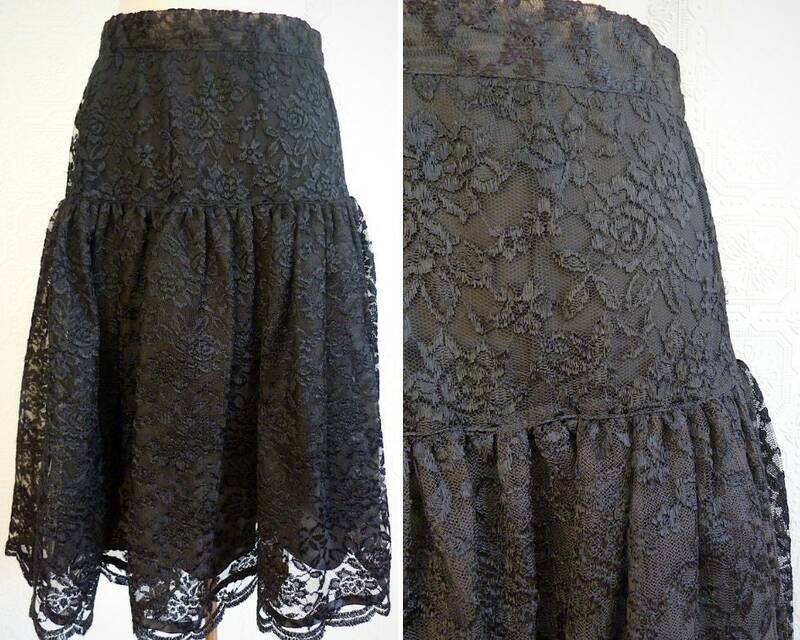 A gothic, rock n'roll feminine look to wear with formal shoes, boots or Doc Martens, depending on your style! TOTAL LENGTH: approx. 26 in.